Please enjoy the radio interview on Travel Writers Radio with Maralyn on the subject of Cruise Tips via the radio clip below. At least once a year, I find myself on a cruise ship. I’ve also organized many cruises and here are some tips based on questions and comments I’ve heard. When you lay out your clothes to pack, put half of them in the suitcase. You probably won’t need so much — and you may want to buy something new. If you are afraid of getting seasick, get wristbands with acupuncture balls enclosed. They work like a charm for my husband. Take a the tour of the ship the first day so you feel like you know your way around, at least a little bit. It gets easier. If you don’t want to do the tour with a group, walk it yourself with the map the ship provides. Take time to explore parts of the ship you’re not familiar with, as sometimes you’ll find an area of hidden treasures and lovely artwork. Prices you find at the onboard shops are just as good as any you will find in town, so if you see something you like, go for it. On cruise lines that have alternative dining with a surcharge, consider trying at least one. I used to think that didn’t make sense when the dining room food is so good. But there is a difference, and for a special occasion, it is worth the surcharge. Food in the dining room is prepared for serving a large banquet, whereas food in specialty restaurants is prepared individually as needed. When you get your cruise newsletter at night and see all the activities listed, consider not trying to fill every minute of your schedule. I’ve done that and been exhausted. Now I do what I feel like doing and have a much more relaxing cruise. If I miss an activity, so be it, I’ll just have to cruise again. Make reservations for dinner early in the day, so you can be seated when you want. Consider sharing a table to meet other travelers. You can make your reservations for the entire cruise at one time if you like. I prefer the flexibility of waiting. I do reserve specialty dining ahead of time. Listen to the talks on port excursions or watch on in-room TV, so you can be sure you sign up for what you want. I would suggest making your choices early, so they are not sold out. 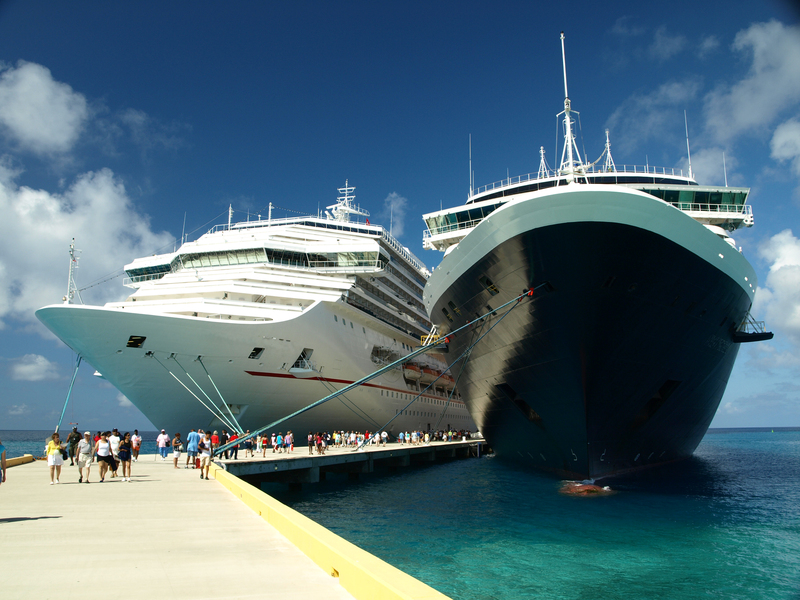 If you are really eager, you can research shore excursions ahead of time on most of the cruise websites. In addition to the shows, there are other options. If you don’t like it something, you can walk out and try something else. This is your time to explore, experiment and enjoy your experience. Except for the higher end luxury all-inclusive cruises, gratuities will be added to your stateroom statement. These average between $9 and $13 per day, per person. You can check the cruise line website to confirm. If you do not feel the service warranted the amount charged, you can reduce it. However, keep in mind that on ships where this is done, gratuities make up the majority of income for the housekeeping and dining room staff. Most of the ships will add a gratuity directly to bar bills. Take the time to unwind, relax and enjoy your journey.